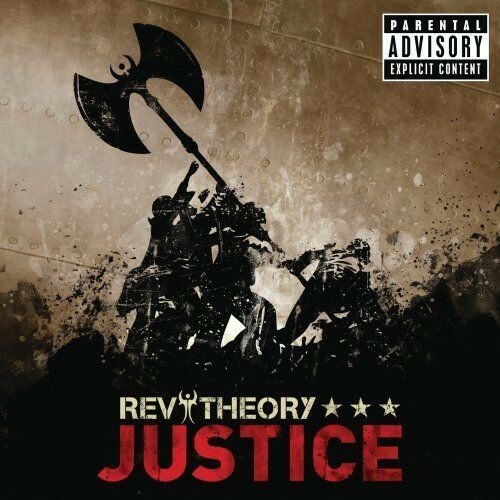 After the success of 'Light It Up', an album that successfully bridged the gap between modern metal and mainstream rock, and the subsequent hit 'Hell Yeah', it seemed that Rev Theory would look to build on their commercial success. After all they re-invented themselves with a name change from The Revelation Theory and a moved away from their predictable nu metal beginnings, so it seemed natural for them to carry on in the same vein. Alarm bells started to ring when firstly it was announced that the band would use Deftones and Slipknot producer Terry Date to record the follow up to 'Light It Up', and secondly when the very ordinary single 'Justice' was aired prior to release. In essence this album seems like a step backwards. Clearly the aim was to get more aggressive, hence Date's involvement, and in isolation that isn't really a problem if the songs were there to back it up….they're not! 'Justice' sacrifices melody and hooks for brute force and it simply doesn't work. The playing standard throughout is extremely high, yet it lacks any huge standout tracks that ultimately go to radio and get people interested in buying the album. 'The Fire' is an excellent power ballad as is 'Say Goodbye', 'Hangman' rocks out with abandon and 'Loaded Gun' comes across like a cross between Velvet Revolver and Black Stone Cherry. Elsewhere the riffs are clichéd and the melodies forgettable; 'Guilty By Design', 'Enemy Within', 'Wicked Wonderland' and the title track are just some of the culprits. 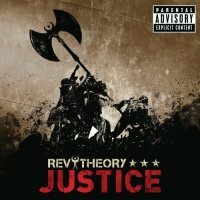 Perhaps Interscope are looking to market Rev Theory differently, widen the fan base and broaden the band's horizons, a strange decision when you consider Rev Theory's success has been built on the fact that they have had big radio hits from 'Light It Up'. With no material anywhere near as likely to achieve the same airplay as 'Hell Yeah' - indeed the aggressiveness of some of the material will almost guarantee it won't be played on mainstream radio - I fear for the future of the band. A slump in record sales could easily lead to the band being dropped by the label; a situation partly brought on by the band but certainly encouraged by the label.